Stony Brook-led research into the structure of a key enzyme involved with cell growth regulation could offer important clues to understanding cancer and neurodegenerative diseases, including Alzheimer’s disease. The finding, published in PNAS, reveals the first visualization of the enzyme and could provide insight into how the enzyme is activated. The enzyme, neutral sphingomyelinase (nSMase2), is one of the major enzymes that produces ceramide in the body. Ceramides are oil-like lipids that are produced in response to chemotherapy and other cell stresses. The ceramides that nSMase2 produces allow cancer cells to pass DNA and proteins to other cells to change their behavior. This plays a significant role in aiding the cancerous cells to spread into other regions as ceramides are produced. With this first visual of the structure of the enzyme, the researchers hope to understand how to de-activate the enzyme. Information on de-activating the enzyme could lead to a way to design cancer drugs that inhibit nSMase2. The different colors of this structural visualization of nSMase2 indicate parts of the enzyme that may change their shape when the protein is switched ‘on,’ encouraging cancer cells to spread. “Our finding is promising because the way in which we determined the structure reveals an unexpected mechanism for how nSMase2 is activated to generate ceramide,” said Mike Airola, PhD, Assistant Professor of Biochemistry and Cell Biology and lead author. To obtain this structure, the researchers screened thousands of different samples to have this protein form very small crystals that could be captured visually via X-rays. These X-rays bounce off the protein, and based on the angle of movements they calculated what structure looks like. Once they defined structure in this way, the research team made hypotheses as to how the shape of this important enzyme changes in order to be activated and then tested these hypotheses. Their findings suggested the same region that kept nSMase2 off was crucial for turning it on. The researchers determined the enzyme consists of two parts: one that partitions inside the oil-like membrane and one that soluble in water. Their work with the structure revealed that to turn nSMase2 ‘on,’ these two parts come together to switch the enzyme from off to on. They found that by removing some of these parts, they were able to obtain a picture of the enzyme trapped in its ‘off’ state. Using the structure, Dr. Airola and colleagues added back different parts of the enzyme, and then they were able to turn it back on to its on, or activated state. Dr. Airola explained that while much is known about the cellular functions of nSMase2, there is limited scientific knowledge into the molecular mechanisms regulating its activity. This latest research presents the crystal structure of the enzyme and enabled the researchers to understand its molecular mechanism to a level not known before. The next step in their research is to get a picture of the enzyme in its activated ‘on’ state. They are also working to identify new scaffolds that could be used as drugs to inhibit this enzyme. Their long-term goal is to understand how this enzyme is turned on and stop it from working as potential therapeutic strategy. Co-authors on the paper include Stony Brook University researchers Lina M. Obeid, Yusuf A. Hannun and Can E. Senkal of the Stony Brook University Cancer Center; Miguel Garcia-Diaz and Kip Guja of the Department of Pharmacological Sciences; Prajna Shanbhogue and Rohan Maini of the Department of Biochemistry and Cell Biology; Achraf Shamseddine of the Department of Medicine; and Nana Bartke and Bill X. Wu of the Medical University of South Carolina. The research was supported in part by the National institutes of Health. Some of the research was completed with access to the facilities at the Synchrotron Light Source and Brookhaven National Laboratory. 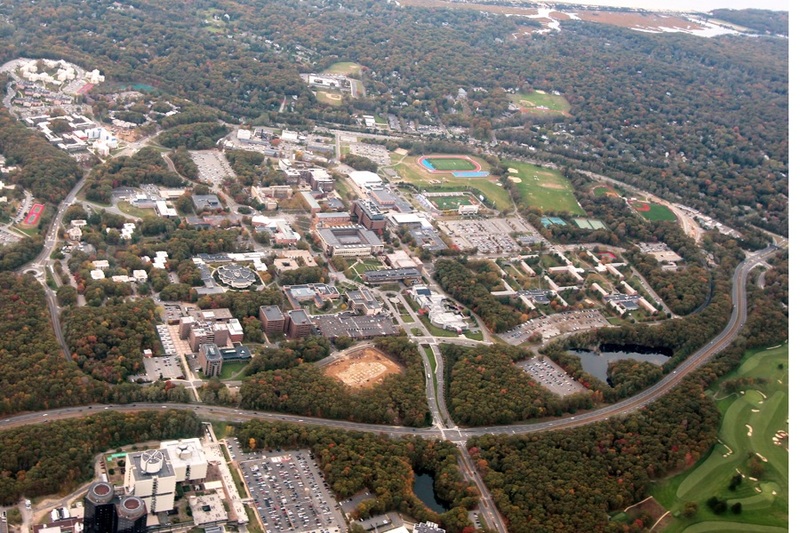 Stony Brook’s reach extends from its 1,039-acre campus on Long Island’s North Shore–encompassing the main academic areas, an 8,300-seat stadium and sports complex and Stony Brook Medicine–to Stony Brook Manhattan, a Research and Development Park, four business incubators including one at Calverton, New York, and the Stony Brook Southampton campus on Long Island’s East End. Stony Brook also co-manages Brookhaven National Laboratory, joining Princeton, the University of Chicago, Stanford, and the University of California on the list of major institutions involved in a research collaboration with a national lab. And Stony Brook is still growing. 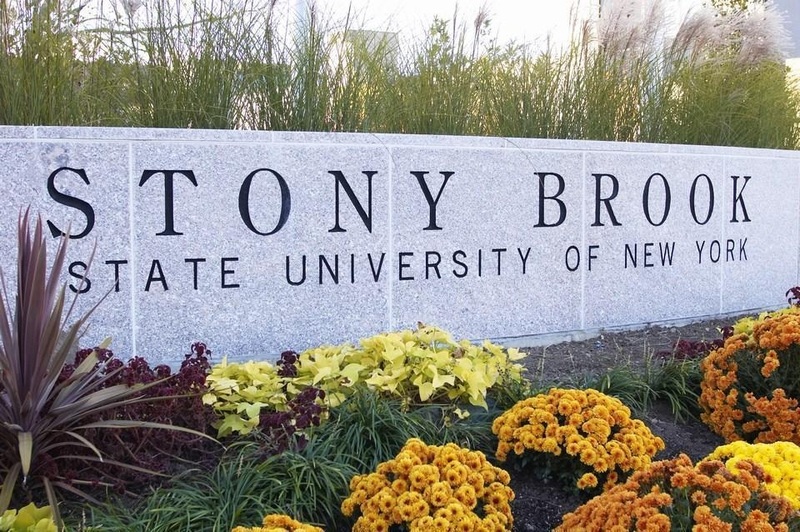 To the students, the scholars, the health professionals, the entrepreneurs and all the valued members who make up the vibrant Stony Brook community, this is a not only a great local and national university, but one that is making an impact on a global scale.